The VP of my department is always so thoughtful when she travels – she always brings back some wonderful little gift from wherever she was visiting. Her latest trip was to the Dolomites along the Italian Swiss border I’m guessing as I showed up to work one day and found a container of Hexensalz, salt blended with herbs and a tiny bit of chili to give it an enjoyable kick! I rarely do this myself, not because I don’t think about others when I’m traveling but because I never know what to bring people. Somehow Chris knows what to get people. I love to cook to this was perfect. 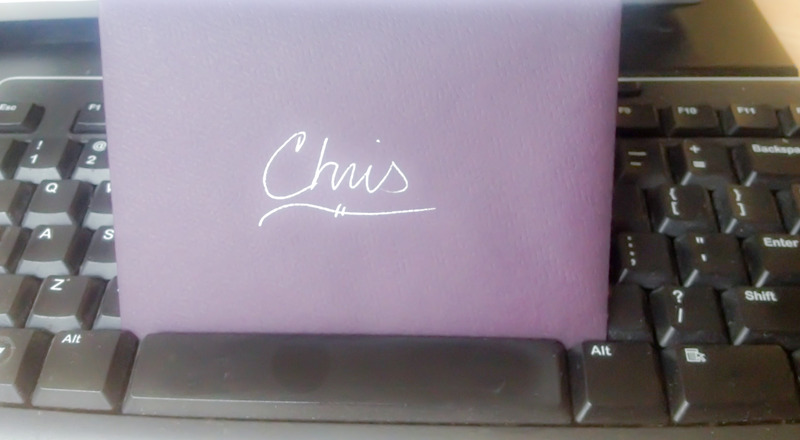 She was out of the office today, but I left her a little thank you note on her desk. You know me well. I love the Hexensalz you brought back from the Dolomites. I’ve already used it twice – I sprinkled some on buttered bread for a spicy aromatic snack and last night used it to season some pan seared salmon – delicious! 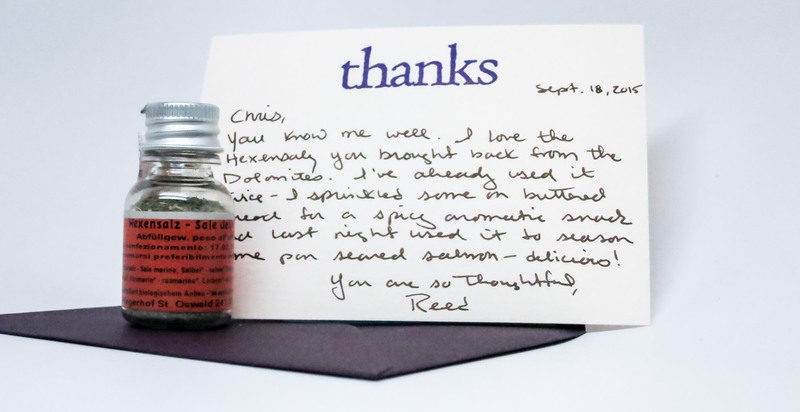 This entry was posted in Thank-yous and tagged cooking, embossed, handwritten letters, handwritten notes, hexensalz, Paper Source, salt, spices, thank-you, Year of Letters. Bookmark the permalink.